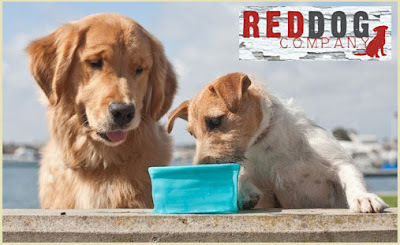 Collapsible Water Bowl only $4 w/ Free Shipping! (reg $18) Attaches to Leash for Easy Transport! New DoggyLoot members can get a great deal with their free $5 signup credit. Right now, you can get a collapsible water bowl for $9 with free shipping, so only $4 with your credit! This collapsible water bowl is a reusable water or food dish that is compact for your convenience. Its square design allows you to fold the bowl in half, while your dog's leash slides through the strap for easy transport. It dries quickly and can hold up to three cups of food or water. You can choose black or turquoise.